Just after we set off on our walk though, the heavens opened... and it did not stop. 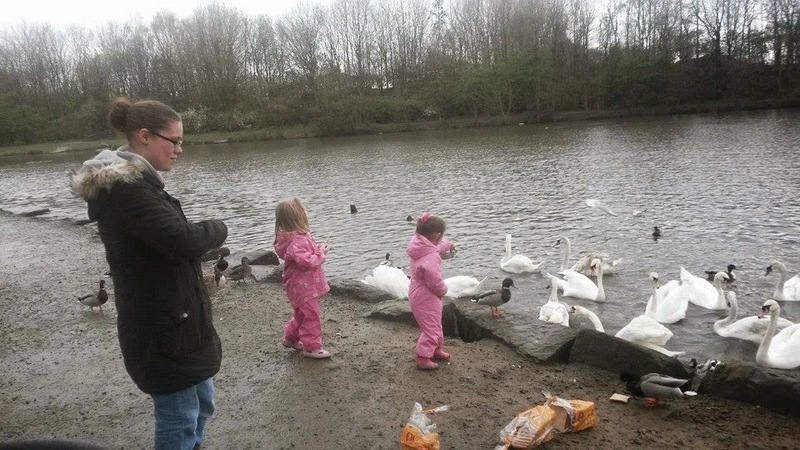 The girls were well prepared, but S refused to put her hood up, and the mummies, were not so prepared. I really must buy better waterproofs. 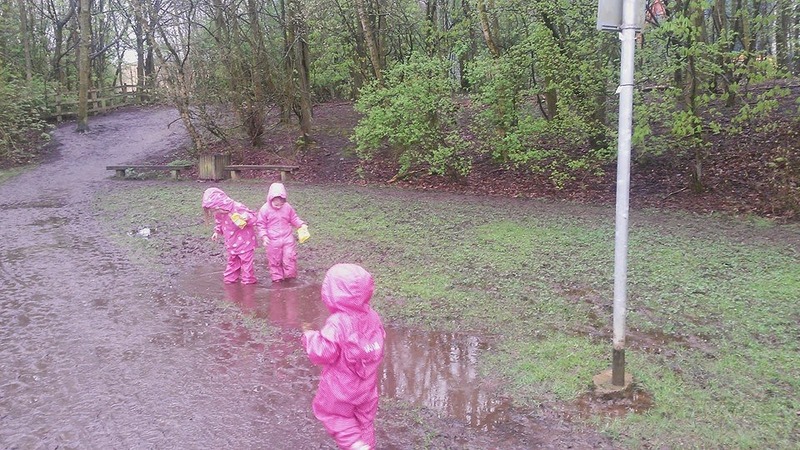 J and L enjoyed running off ahead to find the puddles, whilst S stayed behind trying to avoid the puddles. 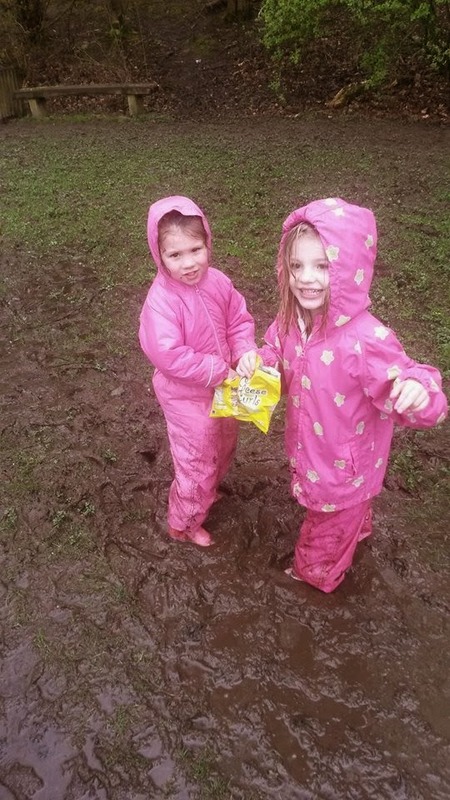 The girls wouldn't even leave the puddles alone whilst they ate their crisps... and yes its still raining. 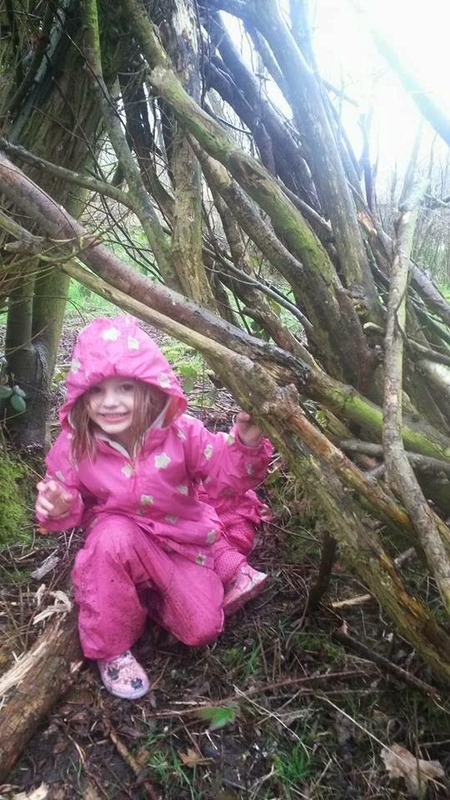 We then headed slightly off the track to build a den. We cheated and found one already half built, so just added to it. 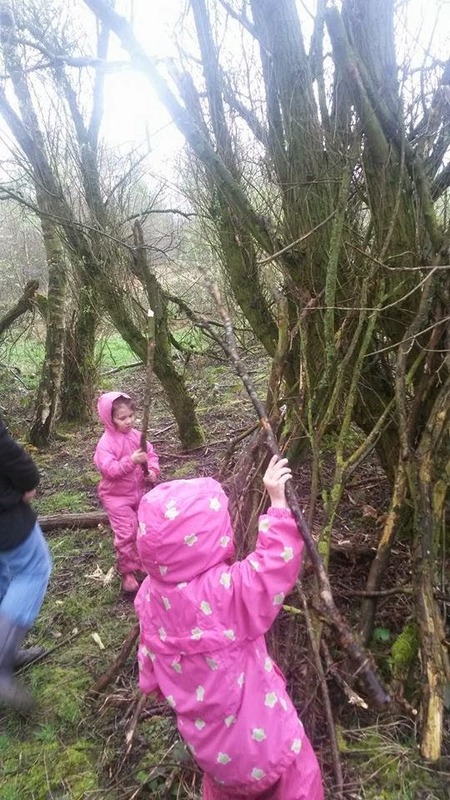 The girls really enjoyed this, especially as they could pick their own sticks of varying sizes of the ground nearby. L almost clonked S with this huge branch... they were thinking BIG!! 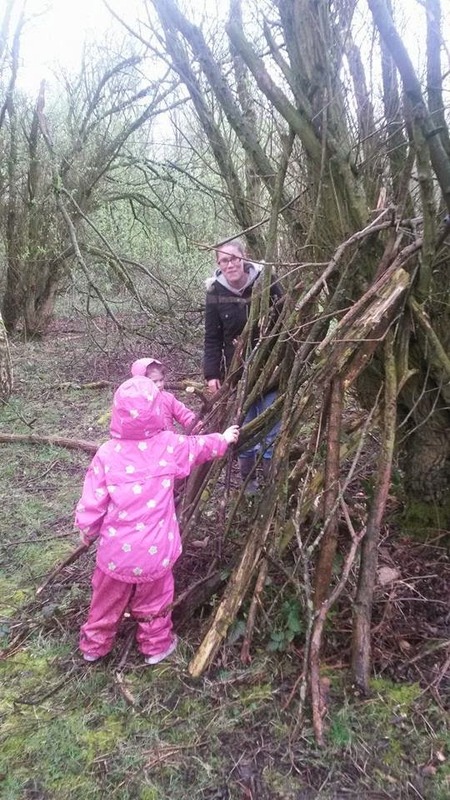 The girls still needed their hoods up whilst in the den though. 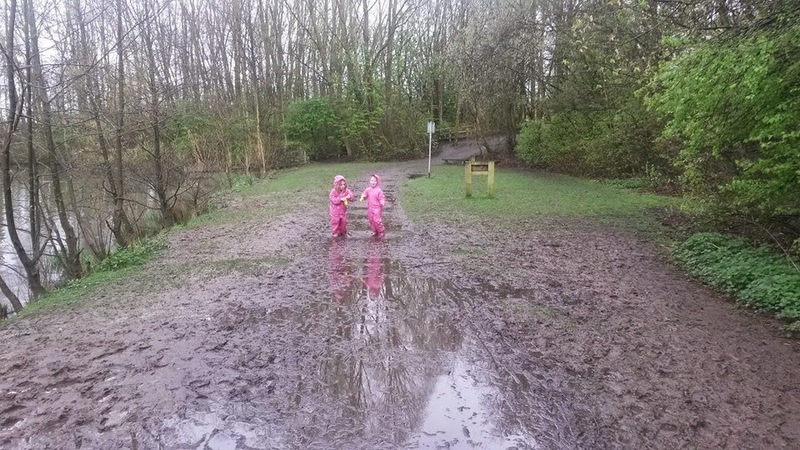 After the den building, it was time for more puddles, they were getting bigger and more often as the rain still hadn't stopped. 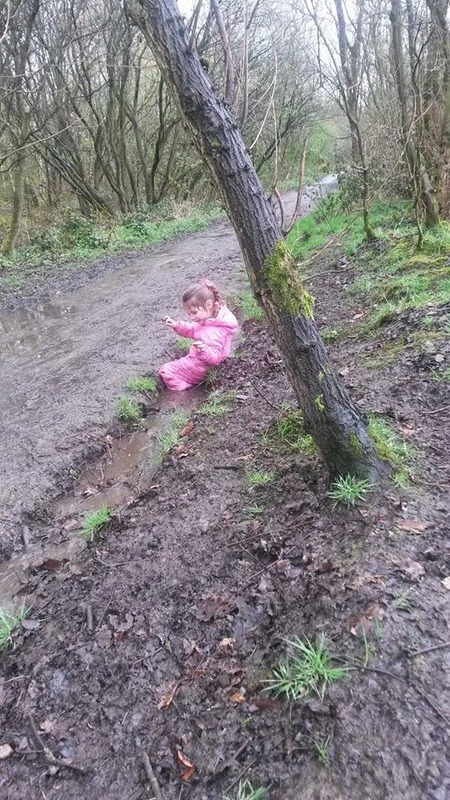 J fell over in a trench, and got stuck. So S decided to go and sit with her, thinking she was having a break. 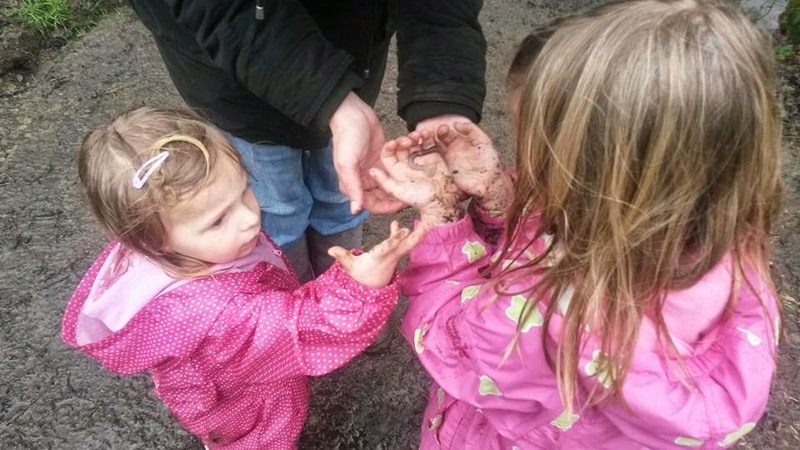 The girls then found a worm, S fell in love with it, and refused to let it go. 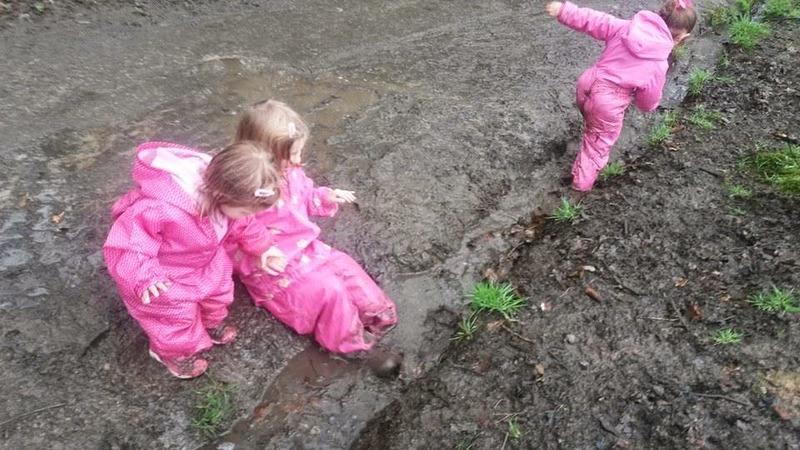 All 3 girls got to feel the worm, before we let it go again, I hope S didn't squeeze it too much. 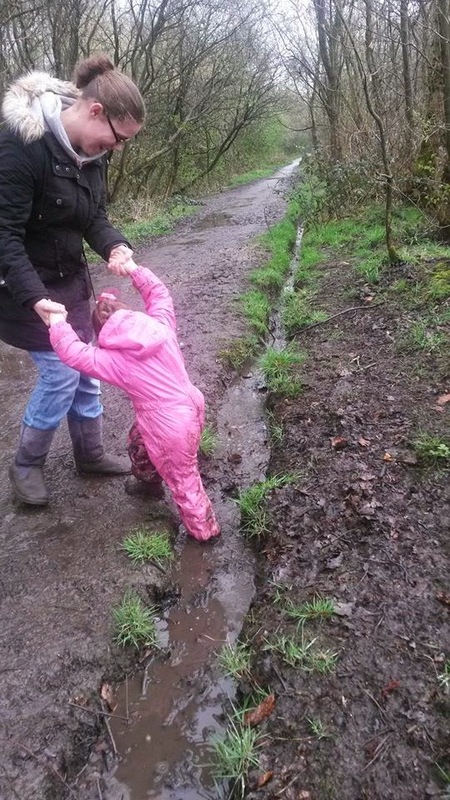 It then came back to the puddle splashing again, and a competition on who could make the biggest splash. 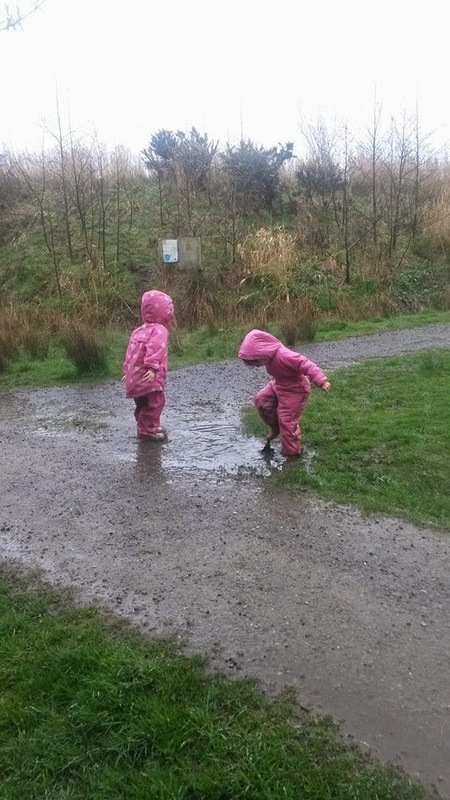 Was another lovely day at the 3 sisters park, and proves you can have fun no matter what the weather. However the rain did stop us staying out too long, just over an hour was plenty, and then it was time to warm up at the nearby McDonalds. 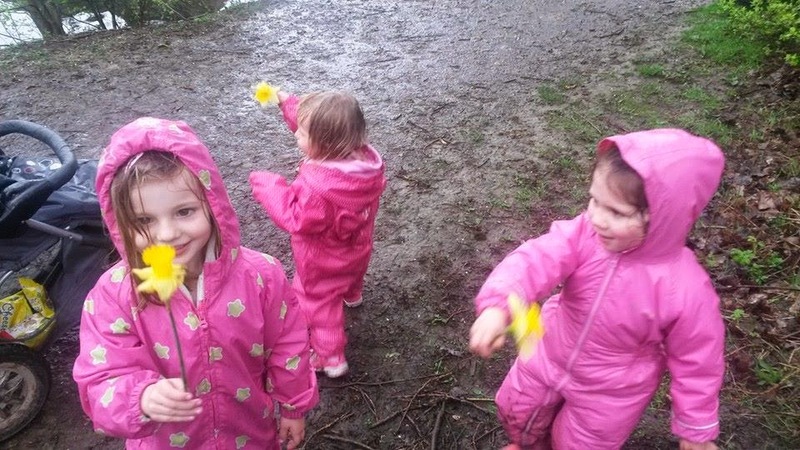 Its so nice to see the girls socialising with their friends outside of school, and exploring new experiences together. What a wonderful post, I am so glad you carried on your walk inspite of the weather. 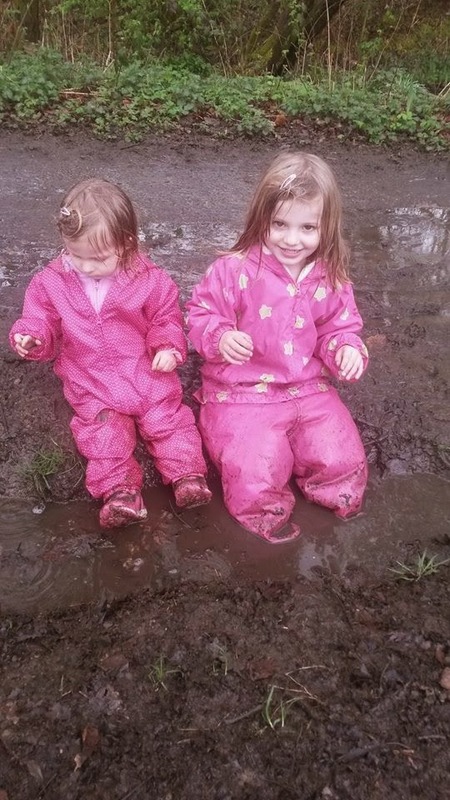 You can see from the girls faces that they were loving the rain and puddles, Having them so well dressed makes all the difference. You just need to kit yourselves out next time! 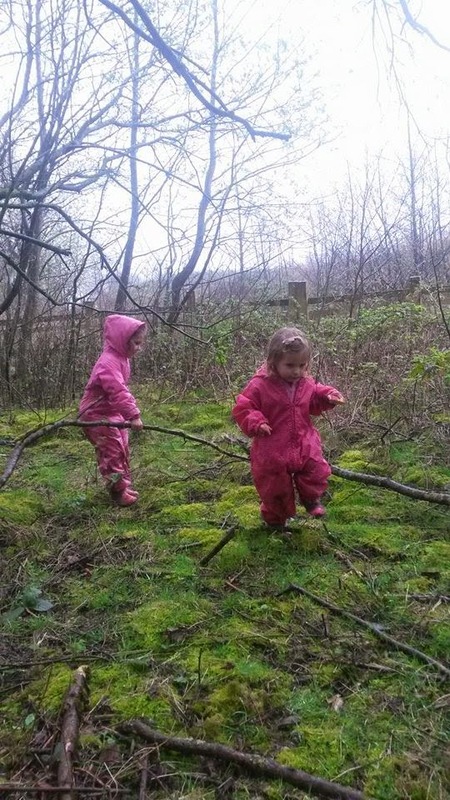 Thank you for linking up with me on Country Kids. They really did enjoy themselves. 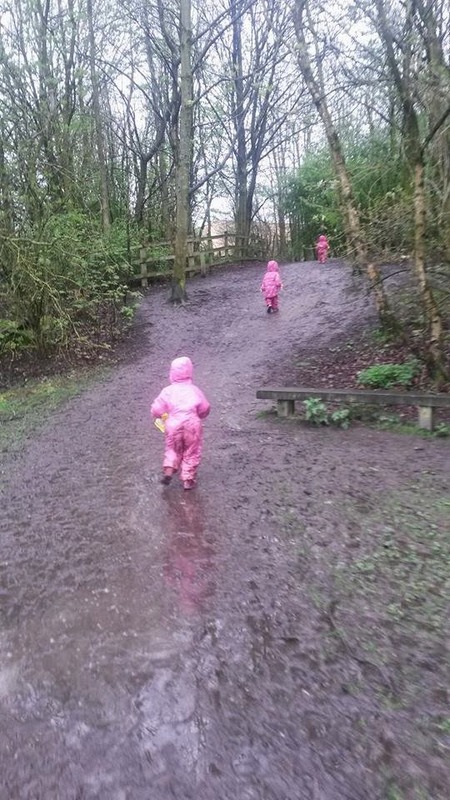 Compared to a walk a few months ago without the right clothes where it ended in tears... 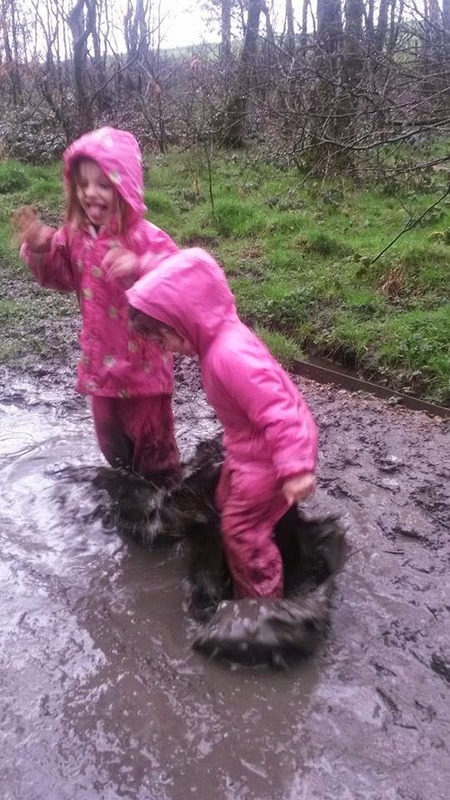 I must get some waterproof trousers then I'm laughing, coat and wellies I already have. Any recommendations? Thank you. 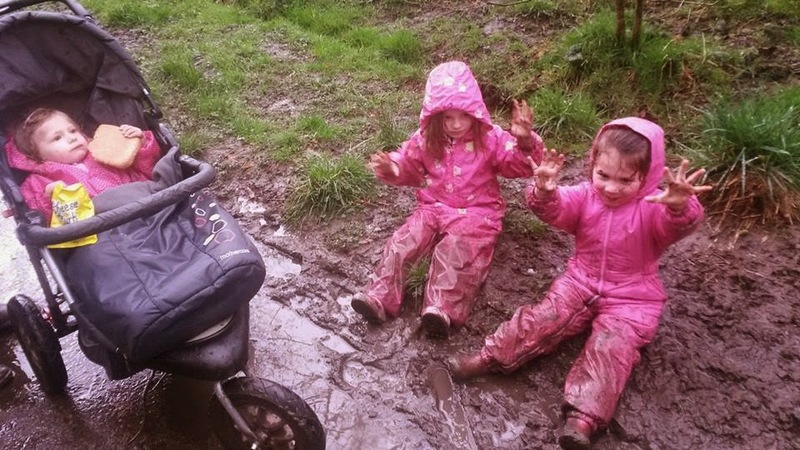 J is wearing muddy puddles and S is a bluezoo onesie from Debenhams. 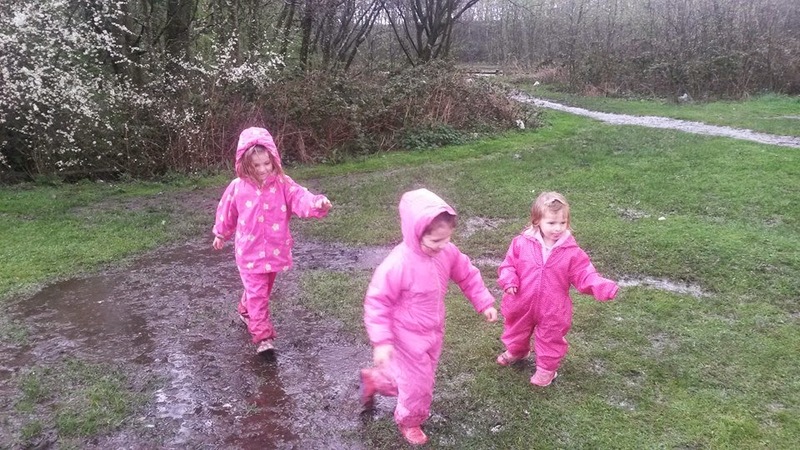 :-) They are such pink girlies... I don't think I could carry that off. 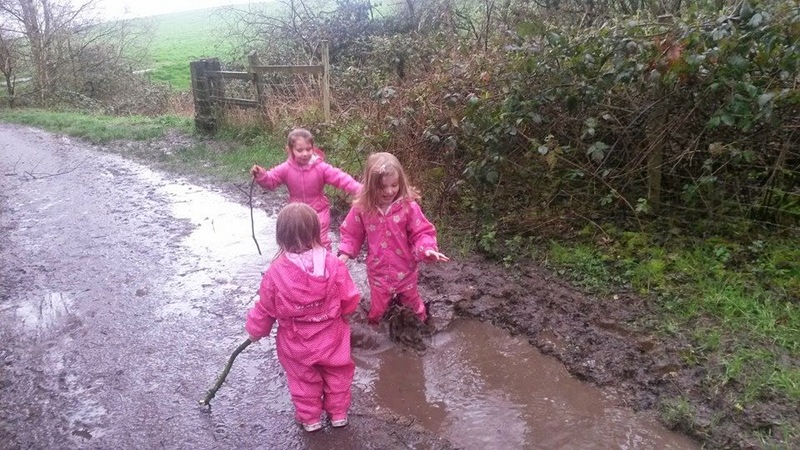 What a lot of muddy puddles! Looks like a lot of fun.